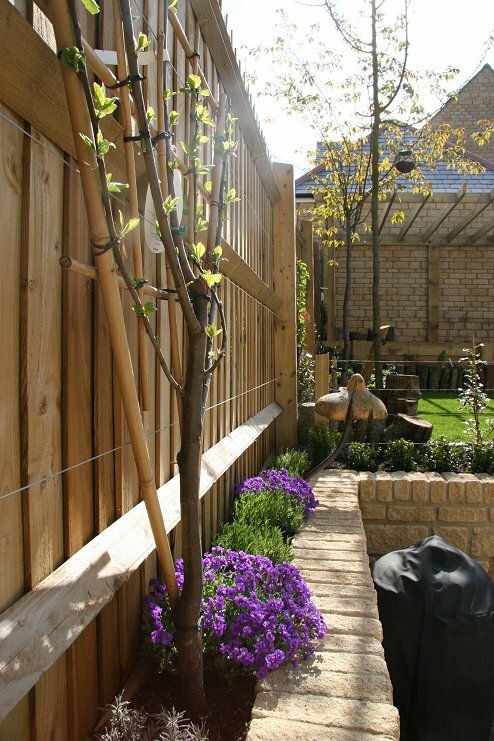 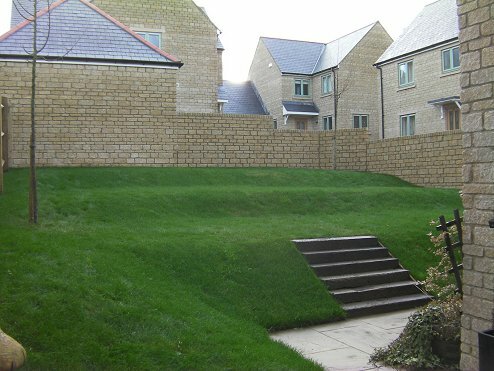 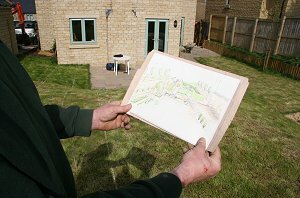 This property was a new build with a very poorly turfed terraced sloping lawn. 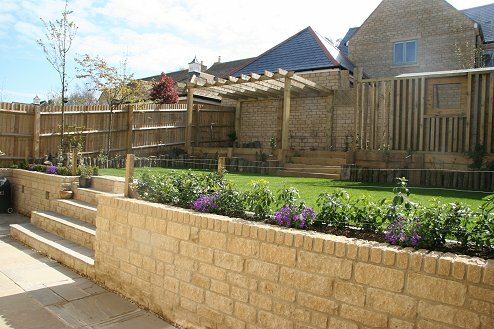 Though south facing, the garden was overlooked on all sides and the clients wished for privacy, expansive stone terracing and an upper seating area. 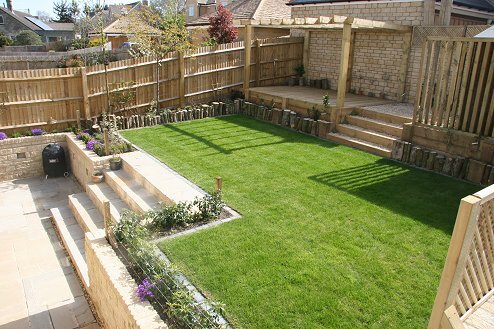 All-round, the perfect solution that combines green space with a practical and impressive entertaining area. 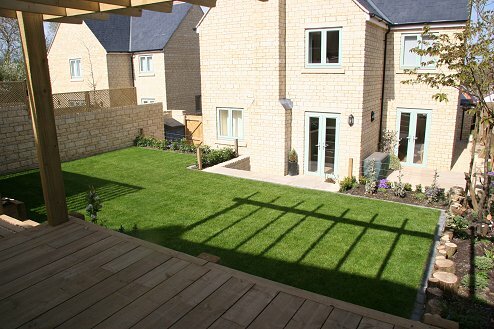 The budget of £12000 was met, a baby was soon produced and the young family are the envy of the estate!